Democracy is often a series of new problems to solve. One such new-ish problem that really became acute in this electoral cycle is that of low turnouts. How can so many people be disengaged from the process that can determine their future at least for 4 years at a time? I tried to find this out by subjecting my social media friends to a short anonymous survey that asked the simple question – why didn’t you vote? In the end, I received just over 1,000 responses from 31 out of Nigeria’s 36 states and the FCT. 71% of the respondents said they were in the 25 – 40 age bracket, 18% were in the 18 – 24, while 11% were 40 and above. This age distribution of the respondents has implications, I think, for the type of overall result it turned out. Many people reported the absence of young people on voting lines on Election Day. That is, it is likely that the people who completed the survey skewed heavily towards those who wanted to vote but couldn’t or simply didn’t. That is to say, younger people are not only disengaged from the voting process, they might not even be interested in explaining their reason for disengaging to anyone. The split in voter registration status was almost even. 39% of respondents actually had their PVCs while 32% were not registered at all. 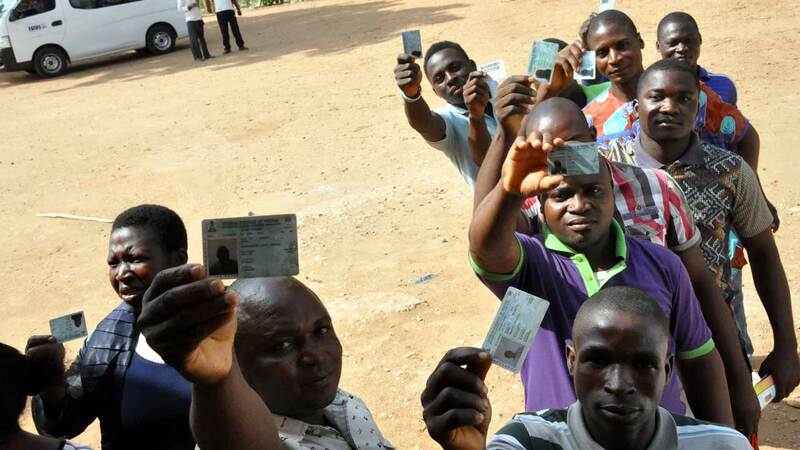 Another 29% said they were registered but did not collect their PVCs. INEC’s own numbers showed the group of people who did not collect their PVCs to be just under 14% – an interesting deviation if we take this sample survey to be nationally representative. That being said, it is important to point out that, even though there were responses from almost all states in the country, 54% of respondents were from Lagos. By a large distance, the next highest number of respondents came from Abuja with 16%, followed by Rivers (7%), Oyo (4%) and Kaduna and Ogun with 3% each. What were the reasons given by respondents for not voting? 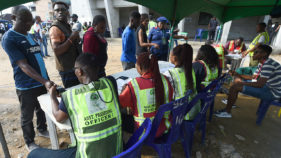 Here, too, the results were a mixed bag that only tells us that there is more than one thing presently conspiring to reduce turnout in Nigerian elections. That is, there is not going to be one solution to the problem. With 27%, the most popular answer picked was ‘Logistics Issues – Where I’m registered was too far away’. Given that majority of respondents were from Lagos, it is not hard to see why logistics got so many responses (53% of respondents who selected this option were from Lagos). It is hard to get around the state on a normal day due to traffic and poor mass transit. It is even worse during elections with restricted movement. Unless someone is willing to pay for a hotel from the night before (which some people did), there just isn’t any way to square the circle for people who have moved address. You can of course change your Polling Unit (PU) with INEC but perhaps the process is not clear enough and INEC ought to do something about it. The next biggest answer was ‘Other’ with 24%. This category of people entered their own reasons for not voting and as you can imagine, it was a mixed bag ranging from the sublime to the ridiculous. 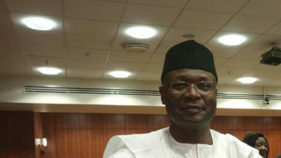 One person said rather than voting, they went to do ad-hoc work for INEC because they needed the money. Fair enough. But most of the responses in this category were a mixture of logistics problems and also general disillusionment with politics and politicians. But again, a number of people seem to have wanted to vote but simply couldn’t. 11% of respondents said they didn’t vote because no candidate inspired them. You can take this as good or bad depending on your outlook on life. 6% said all politicians are liars so no need to waste their time. 5% said the fear of violence dissuaded them from voting. 4% said they are planning to leave Nigeria soon anyway so voting is not their concern right now. Oh Canada! 4% said they voted in the past and nothing changed so why bother? But most surprisingly, only 4% said that the 1-week postponement affected their plans and stopped them from voting. Finally, another 3% said they actually went out to vote but INEC made it impossible for them to vote. What to make of all this? A lot of the answers are actually saying the same thing. When you add those heading to Canada, those uninspired by the candidates, those who voted in the past and nothing changed and those who think politicians are all liars, you get 25%. Several people also selected ‘Other’ but added comments like “the Nigeria of my dreams cannot be achieved in my lifetime so why break a sweat?” It seems that the biggest driver of low turnouts is Nigerians voting for what I call the Logged Out Party (LOP). 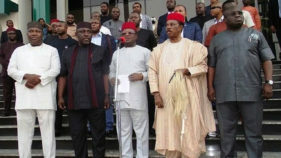 Could it be that Nigerian politicians are the biggest problem with Nigerian democracy? God save us.